I’m sure that I’ve mentioned this is other recent posts, but since I’m always on the go now because of Zoey, I’m obsessed (and in need of) with smoothies! I’m guilty of eating/drinking them for breakfast and for lunch. I pack them full of lots of different stuff every time, but I’ve been on a butternut squash kick, since squash is in abundance right now. 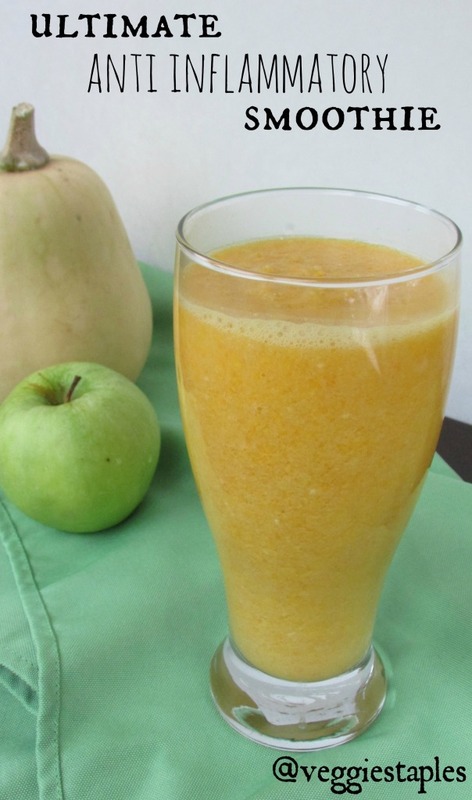 Squash and mangos are also loaded with anti oxidants, anti-inflammatory and full of vitamin C! Mango helps aid in digestion, is said to help memory, and helps regulate blood sugar. Going into cold and flu season, these will definitely help the immune system out – the ultimate anti inflammatory smoothie! Squash is one surprising ingredient!